Safaris have become synonymous with visiting South Africa, or Africa for that matter. Both internationals and locals love the idea of sitting back and taking in the nature around them, be it dotted with wild animals or sand dunes. Yet, there are so many new reasons to fall in love (and lust) with safaris again. From traversing the Namibian sandy landscape, discovering the Congo Basin by foot, sleeping in an open-air 'star-bed' in Kenya's Bird's Nest at Segera Retreat, or even going by rail from Cape Town to Dar es Salaam in Tanzania with the Rovos Rail train for an alternative safari experience - there are so many (new and fresh) options to discover. 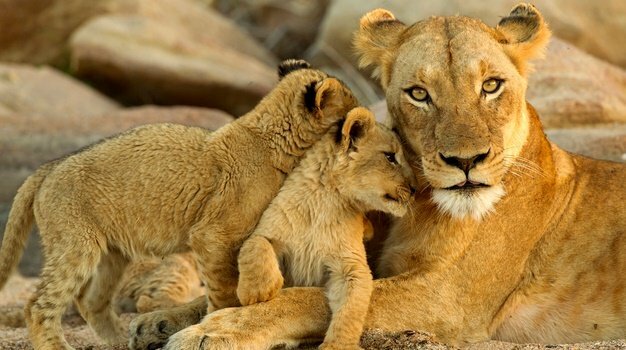 Go2Africa reports that their bookings to Namibia have doubled in the past year. The newly opened Shipwreck Lodge in the Skeleton Coast Park is already their most booked Namibian property despite opening just last year. The Wilderness outposts in Sossusvlei, Kulala and Little Kulala come in at number 2 and 3 for popularity. Also receiving a great deal of buzz, the newly opened Hoanib Valley Camp. Other news creating an interest in bookings is Sossusvlei's Desert Lodge due to reopen in October 2019. Not taking Victoria Falls into account, and despite the poor press for Zimbabwe and few travel stories published around Zambia, both of these destinations have grown by 50% year on year for Go2Africa. The top sellers in Zimbabwe? Travellers mostly request Somalisa Camp (African Bush Camps) in the Hwange National Park, followed by Singita Pamushana Lodge, and then The Hide, also in the Hwange National Park. Also on the radar is African Bush Camps’ new Nyamatusi Lodges set to open this year in Mana Pools. What might have been unknown in years gone by, Mana Pools is gaining attention thanks to BBC’s “Dynasties” and the Wild Dogs You Can Walk With. Zambia is quietly gaining traction and Go2Africa travellers are venturing out to explore every last corner of this last frontier. Lodges attracting the most bookings this year are Time & Tide’s Chongwe River Camp located in the Lower Zambezi National Park, Mfuwe Lodge in the South Luangwa National Park (famous for the elephants that walk through the lodge! ), and Shumba Camp in the Kafue National Park. Business is just starting to take off here and a destination to note are the Odzala Discovery Camps. This year, Congo Conservation Company launched two journeys connecting Odzala-Kokoua National Park with Dzanga-Sangha Special Reserve by creating a new access route in collaboration with governments to Central African Republic through an airstrip at Kabo in Republic of the Congo and a boat journey up the Sangha River. For the first time, travellers have the opportunity to access two destinations in the Congo Basin through Brazzaville with charter flights and boat journeys with the choice of a 10-night or 11-night expedition into these remote areas.